According to the site Musica Viva, Ands. Koch A.G. was a German accordion and harmonica manufacturer in Trossingen, founded by Andreas Koch. In the early part of the 20th century, Ands. 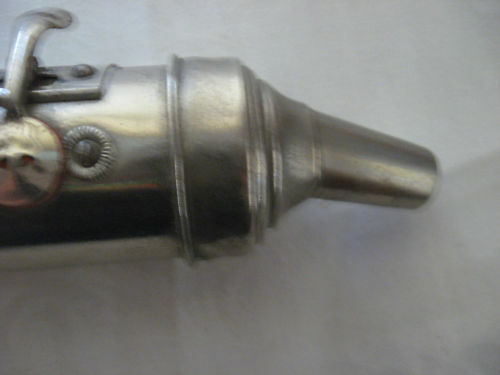 Koch A.G. was one of the world’s major manufacturers for these instruments. 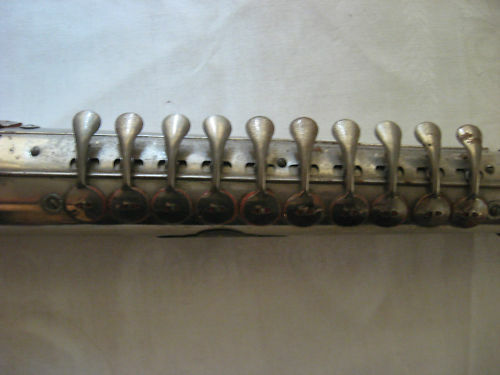 It was sometime between 1914-1916 that the company’s name was changed to Koch-Harmonica Werke. Further to that, sometime between 1916-1925, Hohner bought the company out, but allowed it to run somewhat independently until the 1930s. The name plaque on this Ands. 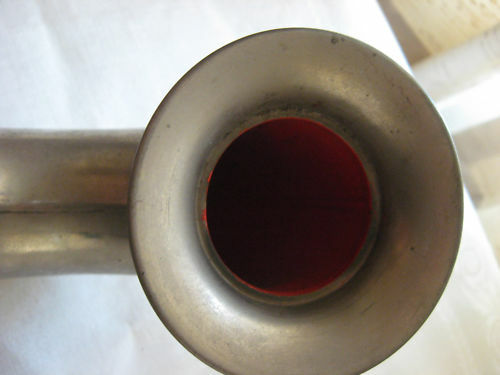 Koch Saxaphone would date it circa 1914. In February 2015 I found another Ands. 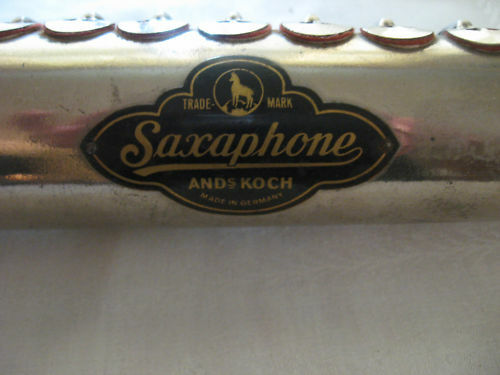 Koch Saxaphone for sale on eBay. 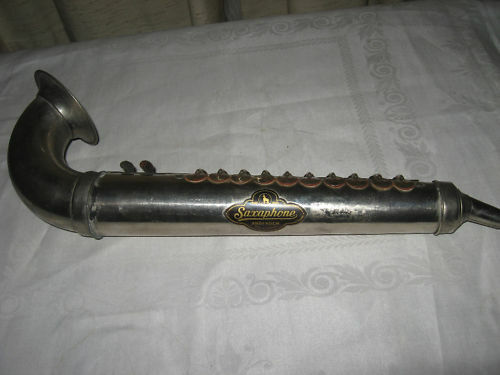 However, this one was likely made for the American market, since it was sold under the model name Jazzy Sax, for the Ferry and Company, Chicago U.S.A. 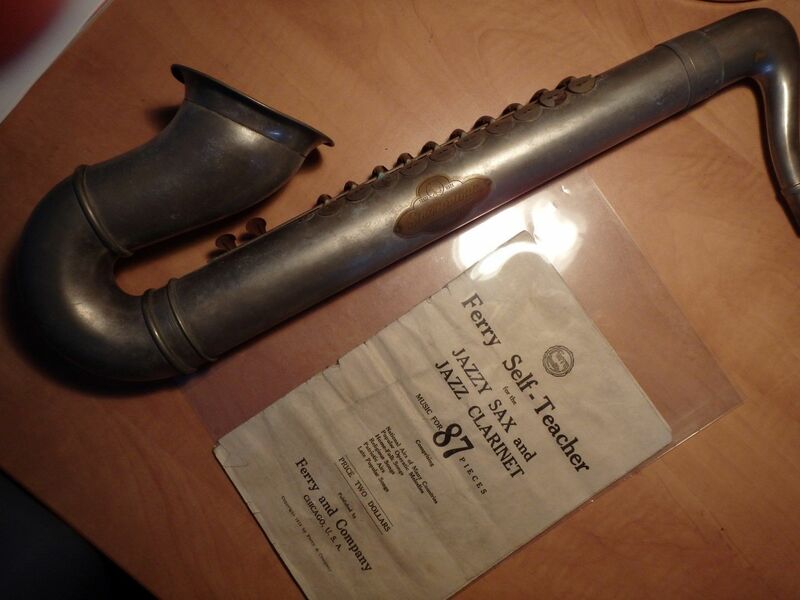 The instrument still had its original Ferry Self-Teacher booklet with it. The seller stated that this Ands. 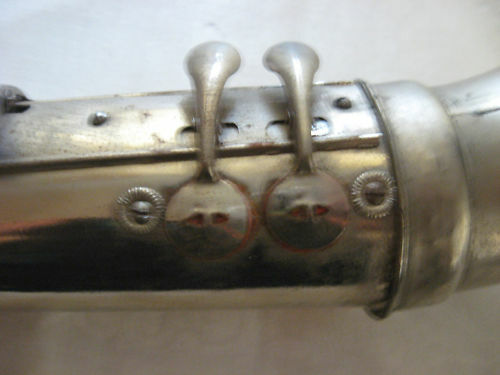 Koch Saxaphone had a detachable bell, and that the wooden insides resembled that of an harmonica. This makes sense, since it is in fact a blow accordion.